Every music lover knows just how important having a good set of earbuds is. You wan earbuds that reproduce the sounds perfectly just like how the artist intended it to sound. This also applies for those listening to podcasts, movies, audiobooks, etc. Sound clarity is crucial to having an immersive experience. In order to get the best out of the audio device, you’re definitely going to have to ditch the default earbuds that came with your device and get a superior set of earbuds. There are a plethora of choices available to you and it’s easy to buy an overpriced pair that doesn’t sound half as good as it should. We’ve shortlisted the 10 Best Earbuds on the market and reviewed the top 5 in much greater detail. Use the information below to make an informed decision. Noise Isolation. Noise isolation works by creating barriers to block out ambient noises. Earbuds that have noise isolating properties work like earplugs. The earbuds form a tight seal in the ear canal to keep out ambient noise. This will help you focus on the music and have a much more enjoyable experience. However, if you really want to block all ambient noises, you should get noise cancellation earbuds. Noise-Cancellation. Noise-cancelling earbuds don’t work like earplugs. Instead of just blocking out ambient noises, noise cancelling earbuds go one step further by using electronics to pick up incoming sounds and cancel out these sounds with inverse waves. They work great for blocking out airplane noises and other low droning sounds. Bluetooth. With Bluetooth earbuds you will be have more freedom since you can listen to the music wirelessly. The sound quality will usually be a little lower than what you’d get with wired earbuds but the added convenience and freedom makes up for this little downside. These earbuds use batteries to power them and you’ll need to charge the battery before use. Extra Bass. For those who love bass, this will be a feature they often look for. While having a strong bass may make the music more ‘powerful’, it often drowns out details in the music such as guitar variations and even vocals. If you really love your bass, get earbuds that have this feature. The Sony MDR-XB90EX is an excellent choice if you want extra bass. It’s better than the Beats model as far as bass and audio quality go. A common mistake many people make when choosing earbuds is to base their decision solely on the brand reputation, style or price. They automatically assume that just because the earbuds are from a certain brand, they’ll be good… or just because the earbuds are expensive, they’ll be of better quality. While brand reputation and price are factors that should affect your decision, do look at the sound quality, features, style and accessories that come with your earbuds. For example, you want to get earbuds that come with different pairs or rubber buds in different sizes. This will help you find the ideal fit for your ear. The best way to know how good a pair of earbuds is will be actually listen with them. Technical specifications are useful to help you understand how they affect the sound quality. This will help you know what to look out for if you want better earbuds or what is lacking with the ones you have. Drivers. When the earbuds have multiple drivers you’ll get a better and more multi-layered sound experience. That’s why most high-quality earbuds have more than one driver. The different drivers are used to target different parts of the audio. One for the bass, one for the treble and one for the mids. The size and quality of the drivers play a part too. The larger the drivers, the more powerful the sound. This explains why over-ear headphones have more powerful sound. 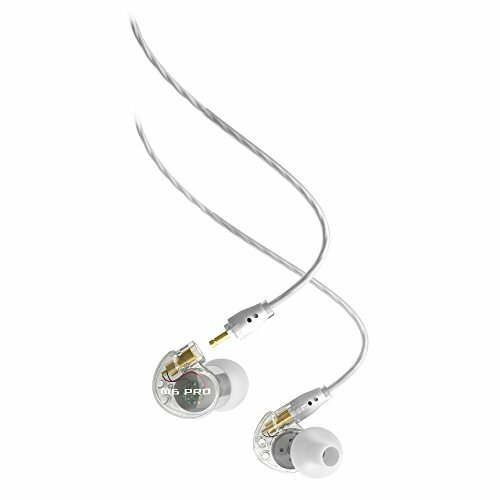 The Shure SE846-CL, which we picked as the best earbuds, has 4 high definition MicroDrivers. That’s amazing power there. Frequency Range. You want to pick earbuds that have a wide frequency range. This range is measured in hertz (Hz) and wider the frequency, the richer the sound produced. You want to pick earbuds that can capture the low bass notes (around 20 Hz). Sensitivity. Sensitivity is important for your own safety. Generally, any sound above 85 decibels can cause hearing damage if you’re exposed to this level of sound for prolonged periods. So, if you’re buying earbuds with a sensitivity level higher than 85 decibels, do exercise caution. Impedance. You want to pick earbuds that have a higher level of impedance. Impedance is measured in ohms (Ω) and the higher it is, the less hissing sound you will hear from the earbuds. The hiss is inevitable because the earbuds use electricity. Earbuds with good impedance will block out the hiss and have sound clarity. 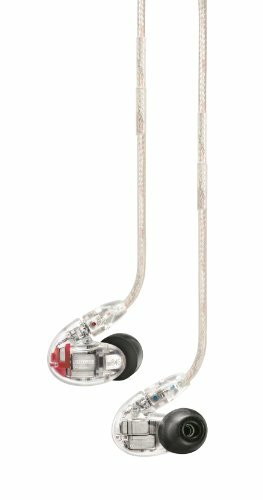 We unanimously agreed on the Shure’s SE846-CL as the best in-ear headphones on the market. These are pricey earbuds but they’re worth every cent. The sound quality is beyond awesome and this is an excellent investment. Audiophiles will love this model. The 4 drivers are capable of reproducing sound with stunning clarity. You’ll not miss a single note or guitar string. The earbuds are sturdy and made with metal instead of plastic. You can also replace the cables and extend the lifespan of these earbuds should they get damaged. Highlights of this model: Shure SE846-CL. High-quality construction and made with premium materials. Rich sound and top of the line earbuds. This model is really the best of the best when it comes to earbuds. If you’re not on a tight budget, this is a fantastic investment. There is currently no earbud model on the market that can beat the Shure’s SE846-CL. Bose is one of the market leaders in audio products and the Bose QuietComfort 20 earbuds will please even the most skeptical audiophile. The clarity is almost as good as the Shure model and sound experience is immersive and out of this world. The Bose QuietComfort 20 is also equipped with high-tech noise-cancelling technology. (See the noise-cancellation section under the header Explanation of Types of Earbuds). These earbuds will block out ambient sounds like human voices and engine noises. The earbuds have an ‘aware mode’ that you can turn on if you wish to hear your surroundings. The audio levels in your earbuds with automatically decrease without you having to lower the volume. This is very convenient. The earbuds are also comfortable and constructed to last a long time. They’ll work with most devices such as computers, audio players and Android, BlackBerry and Windows phones. Fantastic audio, good aesthetics and a reasonable price point. Powerful noise cancellation feature that will increase your listening pleasure. Simple design, easily portable and great for travel because of its ability to block out airplane noises. When it comes to the best noise-cancelling earbuds, nothing can beat this model. Get it if you are a frequent traveler. Another Bose model that looks really trendy and cool. The price is affordable and the headset fits securely and is great if you’re using these earbuds for working out. These are durable earbuds and are resistant to sweat and bad weather. If you’re working out or exercising outdoors, these earbuds are perfect for you. These buds come in bright colors such as indigo, ice blue, cranberry, white and black. The only downside is that these earbuds do not have noise cancellation or noise isolation features. Moisture resistant, highly durable and great for exercise. Affordable and has good sound quality. Comes in bright colors and an attractive design. 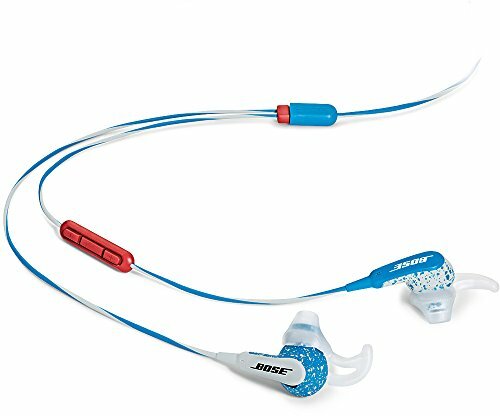 If you exercise often and need earbuds that will suit your active lifestyle, do choose the Bose Freestyle model. This is a highly affordable set of earbuds and for its price the MEElectronics M6 delivers outstanding value. Most earbuds that cost less than $50 have poor quality sound reproduction. The MEElectronics M6 is an exception and delivers good sound reproduction. While the sound quality is not as good as the Bose QuietComfort20 or the Shure SE846-CL, it does have a rich sound and the bass is stronger than most models at its price point. The earbuds have a nice design and are comfortable for extended listening. You also get ear tips of different sizes so that you can find a good fit for your ear. Highly affordable and the sound quality is impressive. Comfortable, includes several different eartips and can be used for extended listening. If you’re on a budget but don’t want to sacrifice quality, the MEElectronics M6 is the right choice for you. We ranked the Jaybird X2 as one of the best Bluetooth headphones for Running, and the highest rated Bluetooth earbuds. This is a very popular model and people love the Bluetooth feature of this model. These earbuds were created specifically for those engaged in sports or other vigorous activities. They’re moisture resistant, fit well and don’t fall out. The single cord that the earbuds use lies behind your neck and the ear tips are very secure because they hook into your ears. The sound quality is great and there is no loss of detail in the music even though you’re using the Bluetooth feature. One charge gets you 8 hours of play time and the earbuds pair easily with most other devices that have a Bluetooth feature. 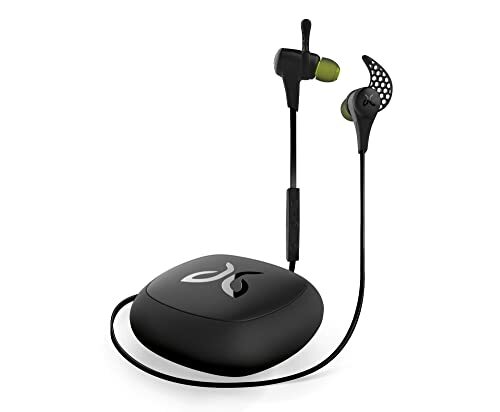 Highlights of this model: Jaybird X2 Sport. More freedom with the Bluetooth feature and awesome sound quality. Moisture resistant, secure fit and perfect for sports. Good connectivity, relatively long play time per charge and a stylish design. 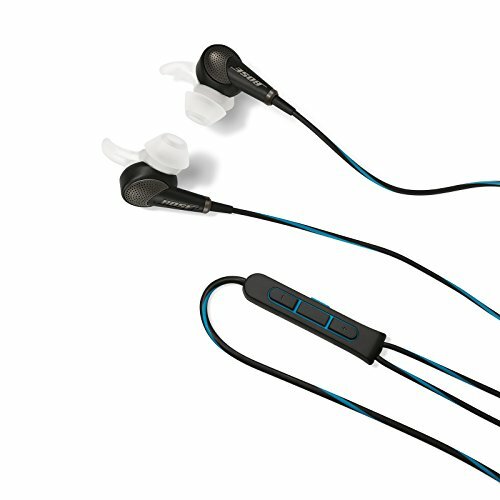 If you want sporty earbuds with a good Bluetooth feature, the Jaybird X2 Sport is ideal for you.